Hello, everyone. I am sorry for the break in Blogmas programming but, if you follow me on Instagram (@the_lexicon_devil) you will know that I have been recovering from a particularly nasty bought of food poisoning. For the past week it has taken all of my strength to not projectile vomit all over creation; writing, as you can well imagine, was not one of my priorities. Now that I am back in fighting shape-- or at least what passes for fighting shape in my neck of the woods-- I am back to blogging and will be catching up with posts over the next couple of dates. Expect posts to go live every six to twelve hours until I am up to date. In honor of Day 4, I thought I would share with you some of my favorite podcasts. Whether I am grading papers, skittering between buses, or try to decompress before bed podcasts are one of my preferred things to listen to. Like most folks, I listen to and subscribe to podcasts through the iPhone app and usually spend a few hours a week catching up with some of my favorite series. 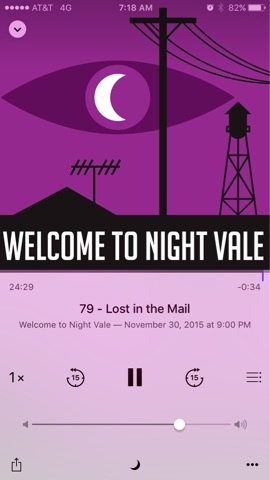 Welcome to Night Vale is a twice monthly 'cast that is set in a Twin Peak-like small town radio station. The show features newscasts for the fictional town, crime reports featuring the sheriff's secret police, cultural events, and updates on the Blood Space War waging sometime thousands of years in the future. If you like mysteries, aliens, and David Lynch films, this ones for you. Sweet and Savory Baby Jesus it's back! For those of you who are not familiar, Serial, the most popular 'cast in history, is an NPR produced series that takes one complicated crime-based story and, over several weeks, approaches all angles of the case in a narrative, nuanced fashion. 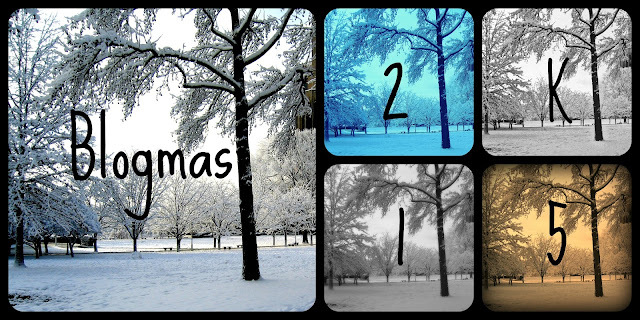 Season 2 started TODAY. As soon as you finish this post you should probably go and listen to episode one. If you haven't already. 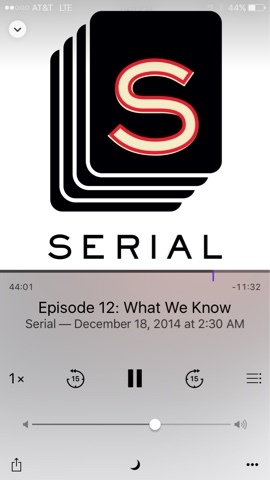 This weekly podcast features in-depth reviews of new releases and news from the publishing industry. If, like me, you sometimes find it challenging to sort through the hype surrounding new releases, this would be a good 'cast to check in with. Not every episode will suit every listener, but this is a cast you can dip in and out of without fear of "losing your place." This one, dear folks, is a hidden gem. If, like me, you like to know the story behind the story, Esquire classic is the one for you. 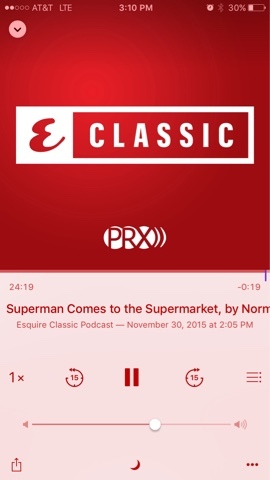 This 'cast takes an in-depth look at some of the iconic articles that have graced the pages of Esquire Magazine including a look at Norman Mailer's look at the presidential campaign of then Senator John F. Kennedy, "Superman Comes to the Supermarket." Another podcast looks at the magazine's piece on the 9/11 falling man. 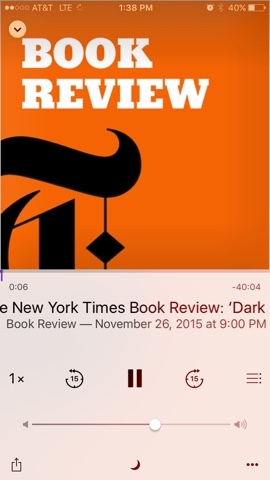 Again, like the New York Times Book Review podcast, you can dip in and out of this series without the fear of missing something. What podcasts are you listening to? Let me know on twitter @thelexicondev.